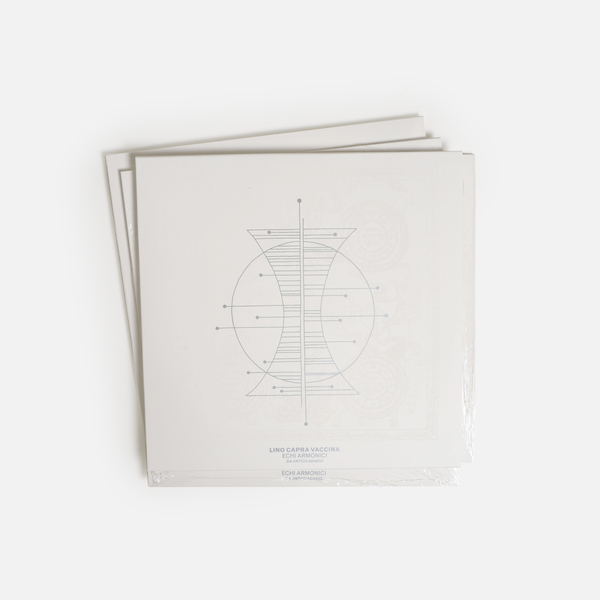 At the esoteric intersection of serialism, minimalism and new age, Die Schachtel present these exceptionally haunting, otherworldly recordings from late ‘70s Italy on vinyl for the very first time; rendering further details of the sessions which made up Lino Capra Vaccina’s seminal and cultishly adored Antico Adagio . 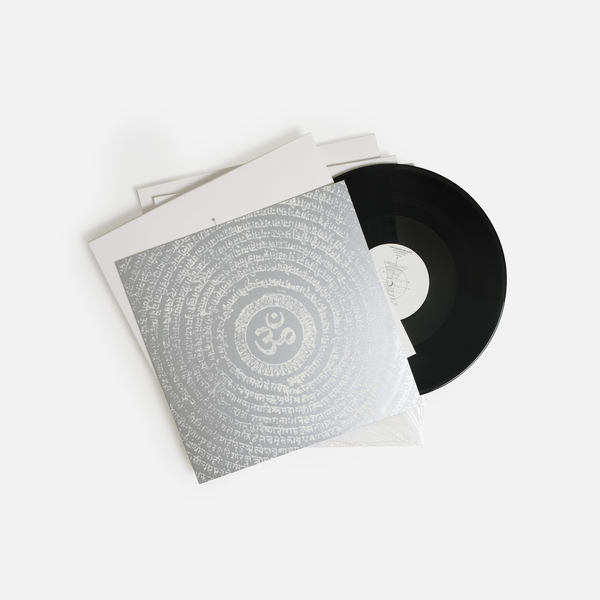 As you should be now expect from all Die Schachtel, this is some pretty special stuff, forming a mesmerising adjunct to the eastern-facing vocal drones of Pandit Pran Nath disciple Terry Riley, for example. In marked distinction to the concision of cuts on Antico Adagio and Frammenti Da Antico Adagio, this LP reveals two side-long meditations clocking in at 16:52 and 23:41, respectively, allowing far more room for Vaccina’s gentle gong, bells, cymbal and percussion to ripple and mesh with Dana Matus and Juri Camisasca’s floating vocals for the duration. 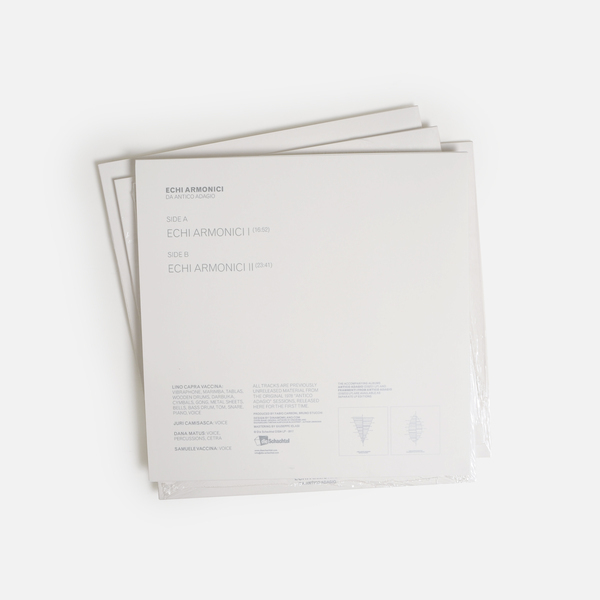 Along with the charming appearance of yung Samuele Vaccina, plus some barely-there radiophonic spectres, the results of Echi Armonici Da Antico Adagio add up to a deeply enchanting listen, ranking right up there with he label’s sweetest treats such as Lovisoni / Messina’s Prati Bagnati Del Monte Analogo or the hallowed sacred drones of Prima Materia. 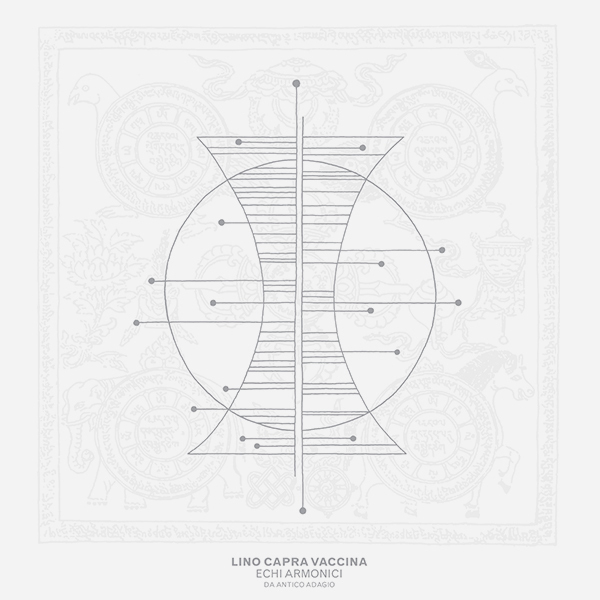 “For fans of the Italian avant-garde, few names inspire the loyalty and devotion offered to the percussionist and composer Lino Capra Vaccina, a perfect emblem of the country's extraordinary movement of musical minimalism. He first gained note as a member of Aktuala, creating a hybrid of rock, avant-garde, and ancient musics while incorporating a diverse number of sonic traditions from across the globe: African, Middle Eastern, Indian, etc. Vaccina's career as a composer has been marked by two distinct features: an incredibly high bar of quality and ambition, and a tragically slim recorded output. Following his departure from Aktuala, he worked extensively with others -- Juri Camisasca, Franco Battiato, etc. -- and within the short-lived super group Telaio Magnetico, but his astounding solo efforts have been slow to emerge. In 1978, he released the legendary LP Antico Adagio (DS 027CD/027-1LP), and wouldn't be heard from again until 1992's equally extraordinary L'Attesa.